Will Warren - The blog of an engineer from Canada. The blog of an engineer from Canada who specializes in SaaS, HA, Cloud and Product Development. I work in the Internet. As I have written before, I’ve used just about every note solution around. Unfortunately I haven’t found a magic bullet (yet). This post is really an exploration into the pros and cons for my own personal workflow and this the things I find important when managing notes. Hopefully after doing this exploration I can actually settle on one platform for the long haul and stop procrastinating by switching note platforms and writing blog posts about it. For years, I’ve had a Jenkins job that builds the site, uploads it to S3 and creates a CloudFront cache invalidation every time the Git repo changes. This all works great, but I haven’t updated the version of the hugo binary in my Jenkins docker image since v0.27.1. The latest version (at time of writing) is v0.44 so I figured I’d just try the new version and see what happens! Will my custom theme make it? Here’s how I fixed them! 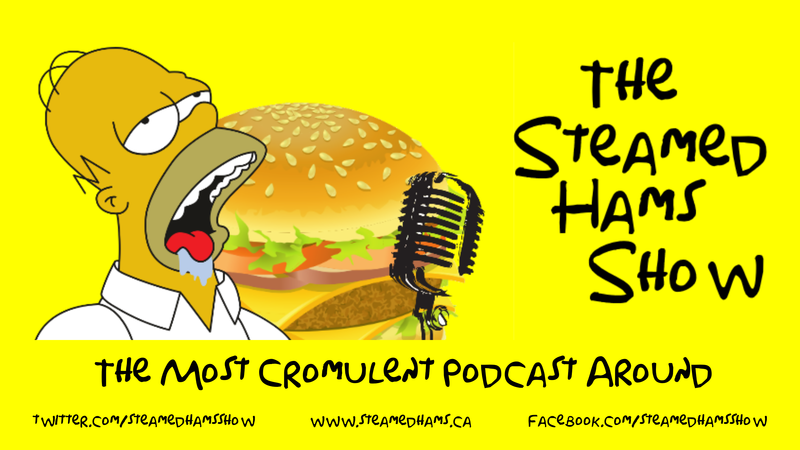 The Steamed Hams Show is a Simpsons podcast by myself and my good friend Jon. In each pod we pick a Simpsons at random and talk about it - often diverging off on hilarious tangents, off-color jokes, and stories from our pasts that in some tenuous way relate to the aforementioned Simpsons episode. I keep my personal nodes in a bunch of Markdown files inside a Dropbox folder. I’ve used just about every note-taking app there is and ended up settling on this system. It’s served me really well so far. Redis is very, very good at running as a Highly Available service. It has supported clustering since 3.0.0 was released back in April of 2015. Clustering many redis servers together allows for higher throughput (spreading the load), as well as redundancy (for when servers die unexpectedly). Here I have assembled some notes about common things you might want to do to your Redis cluster, and how to do them. Amazon just launched a new service called AWS Certificate Manager (ACM) as part of their ever growing suite of services. The new service allows for more or less one-click creation and deployment of free SSL certificates (yes, free). I used ACM to enable SSL on this very website and it didn’t cost me a dime. Anyone can set up SSL for their own custom domain name in no time at all with this new service. When using Microsoft SQL Server, enabling Read Committed Snapshot Isolation (RCSI) is one way to prevent reads (SELECT statements) from escalating into full table locks. Depending on your application this can either be a good or a bad thing. I’m not going to get into the why’s and why-nots of each strategy - this is a good article to read if you’re having a hard time deciding which strategy to choose and why. Documentation is one of those things that’s easy to down-prioritize to the very bottom of your todo list, even though it could be one of the most important tasks that you undertake in your day to day job. As part of my regular annual website refresh, I decided to take a pretty drastic step and move from WordPress to a static site generator called Hugo. I’ve kept my WordPress install continually up to date since early 2009 and it served me well, but I needed a change. I also went back through the archives and culled all my old blog posts - I only kept the most trafficked and the ones that Future Will might want to reference. Update: This technique also works in VMware Fusion 8! I am an OSX user, and I run a lot of VMs using VMware Fusion 7 which I have been very happy with since I purchased it. One thing that always bugged me is that Fusion allocated a different IP address to each VM every time it started up, or resumed from a suspend. Applications that I use that have references to those IP addresses always had to be reconfigured each time I wanted to use them. More recently, I’ve been testing out lot of different type 1 Hypervisors (ESXi/vSphere, Proxmox, XenServer etc) which usually make the assumption that they will be given a static IP (which they should in the real world). So imagine my delight when I discovered that you can indeed allocate static IP addresses to VMs simply by editing a single config file.